Darlene Somrak, CKD of Somrak Kitchens, Inc.
Somrak Kitchens has brought an unsurpassed standard of excellence in innovative kitchens to the Greater Cleveland area for more than 60 years. 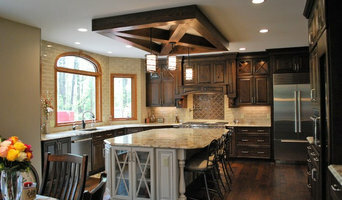 Along the way we’ve built a solid reputation for providing the finest cabinetry, superior craftsmanship, design expertise and dedicated service, while always considering the requirements of our distinguished clients. Visit our showroom and we’ll help you create a kitchen that will make all your labor seem like a piece of cake. At Kitchen & Bath, Etc. we truly believe that a home is where the heart is - it's where families live and spend their time together. Our wish is to make your house into a home of your dreams. We understand that remodeling can be a big decision, and choosing the right company can be even more difficult. We are confident that all of your expectations can and will be met with us. Our beautiful showroom helps customers envision a home that not only suits them, but allows for their hopes and ambitions to take shape. The vivid colors, sharp design, and the flow of the showroom constantly spark new ideas. Here, we help the customer conceptualize a design, and perceive their home in a whole new light. We work with you, step by step, and ensure that the beauty of your home is realized. Visit us today and make your dreams come true. Each of our custom designs is as unique as our clients. We pride ourselves on great service and great products on almost any budget! 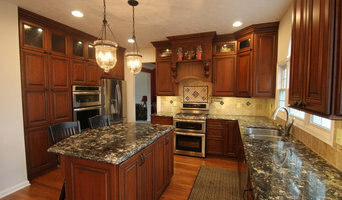 Cabinets & Granite Direct is a full service kitchen and bathroom remodeling company. We provide on site measurements, free design layouts, and expert workmanship by our experienced teams of cabinet and granite installers. Our expertise ranges from residential to commercial projects. We provide excellent customer service inside our beautiful showrooms and also at our valued customers' homes and businesses. We are factory direct, so there is no middle man. We can pass on the best price to our customers because we stock our own cabinets and granite in our Cleveland and Chicago stores offering lead times ranging from 1 day to 2 weeks. Cabinets & Granite Direct always have 15 different colors of granite in stock ranging from $29.99 to $53.99 per sq. ft. installed. Our high quality , solid wood cabinets are made with care and come in 8 different styles and stains for you to choose from. They are made with care and can be picked up or delivered to your job site to fit your needs. Come check out our 9,000 square feet of showroom space! Bring us a design or have one of our sales representatives design your kitchen for you. 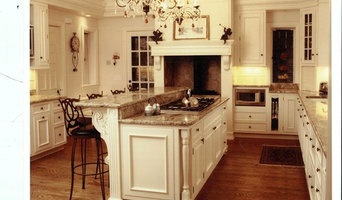 We will do our best to meet your needs and get you one step closer to your dream kitchen or bath! *Authorized Waypoint Living Spaces Dealer* Whether you are preserving the charm of an older home or spicing up the interior with a modern twist, the unique group at French Creek Cabinet Co. ensures your job is handled with professionalism and the highest quality workmanship. All your design challenges are solved, and all design process questions answered. Having a keen understanding of today's lifestyles and how proper space planning and interior decorating can truly benefit the way your whole house functions, gives us the opportunity to work with you to create beautiful rooms. Our custom kitchen cabinets, kitchen designs or bath designs will express an element of an intriguing showpiece that is built with enduring reliability. From start to finish our designers guide you through all the aspects of the home remodeling process to ensure full satisfaction. At a loss for creative design ideas? We can help find the right kitchen design or bath design for your home interior decorating renovations. We are a family-owned and operated kitchen and bath design company that strives to treat every customer as part of our family. When you walk into our showroom, we hope you feel comfortable and at ease. Local contractors, builders, and remodelers help shape our community. We work alongside them to help you create your dream space. Our staff has 100 years of combined experience to help you choose the best layout and style for your home. Stop by our showroom today! We can't wait to meet you! We have been in business for over 25 years and have a reputation of customer service, craftsmanship, and quality work at a fair price. White Builders is a full service remodeling company with 50 years of combined experience in the building and remodeling industries. We are proud of our reputation as a locally owned and operated company. We strive for excellence in our business dealings and craftsmanship. Our customers come first in all of our projects and we have made a profession of helping them translate their ideas into reality, no matter how simple or complex they may be! We wanted to start a family company which would show that hard work, dedication, and commitment to excellence are values which still hold true in our great country. We have completed projects in high rise condominiums to small ranch style homes, and many in between. We want our customers to feel completely at ease welcoming us into their living space. We undertand that transforming a house into a home is a very personal process, and we want you to feel comfortable with such an undertaking. What does a Parma Heights kitchen designer or bathroom designer do? A kitchen and bath design professional in Parma Heights, OH knows to take all of these crucial points into consideration and can help plan the layout, materials and overall look and feel of either of these rooms in your home. Kitchen designers, as well as bathroom designers, are constantly staying on top of trends in the ever-changing industry. The designer also knows the best layout for your room, and can configure the layout for optimal functionality and utilization of the space. In the kitchen the refrigerator, stove and sink should be laid out in relation to one another, and it should be seamless and easy to move from one to the other. A Parma Heights kitchen and bath designer will know how to work with a contractor and architect to plan the flow of the room to work best for your needs. Here are some related professionals and vendors to complement the work of kitchen & bath designers: Kitchen & Bath Fixtures, Appliances, Tile, Stone & Countertops, Cabinets & Cabinetry, Woodworkers & Carpenters. Before you talk to bath and kitchen designers in Parma Heights, OH, consider how you will use the room. For your bathroom, is it necessary to have a bathtub for bathing kids or pets, or would a shower suffice? Perhaps all you need is a half bath for downstairs or a smaller guest bath for occasional use. Similarly, for kitchen renovations consider your cooking habits. Do you eat out every night but need a space to entertain in? If so, a smaller kitchen might be fine for you, with a space devoted to wine storage or a bar, whereas others might prefer a bigger stove or extra cabinets. When interviewing Parma Heights kitchen and bath designers, make sure to share these habits so they can best fit the room to suit your needs. Find a Parma Heights kitchen designer or bathroom designer on Houzz. 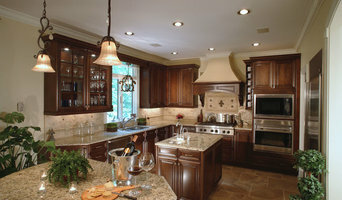 Narrow your search in the Professionals section of the website to Parma Heights, OH kitchen and bath designers. You can also look through photos in Parma Heights, OH to find a kitchen or bathroom you like, then contact the professional who designed it.